This is the heart-stopping moment a baby survived a road crash that left them alone on a driver-less motorbike in India. 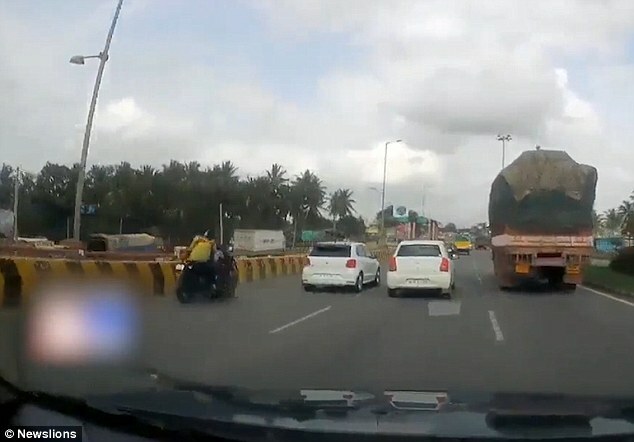 The dash-cam footage shows a biker and his wife being knocked off their motorbikes while racing through traffic on a busy road in Bengaluru, Karnataka, on August 19. 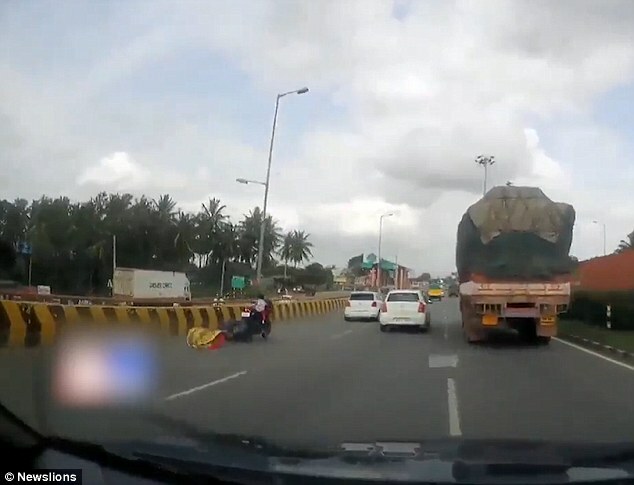 The impact is such that the biker and his wife were sent flying off the bike while the vehicle kept rolling with their baby still perched on the fuel tank. A man is also seen falling off the red scooter. The bike continues to move through the traffic for around 100 metres before crashing on the road divider. 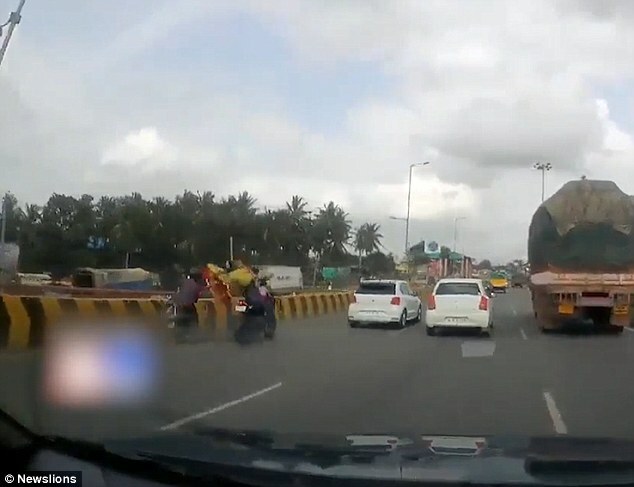 The terrifying video shows the driver-less bike miraculously cut through the traffic and avoid crashing into the truck in front. 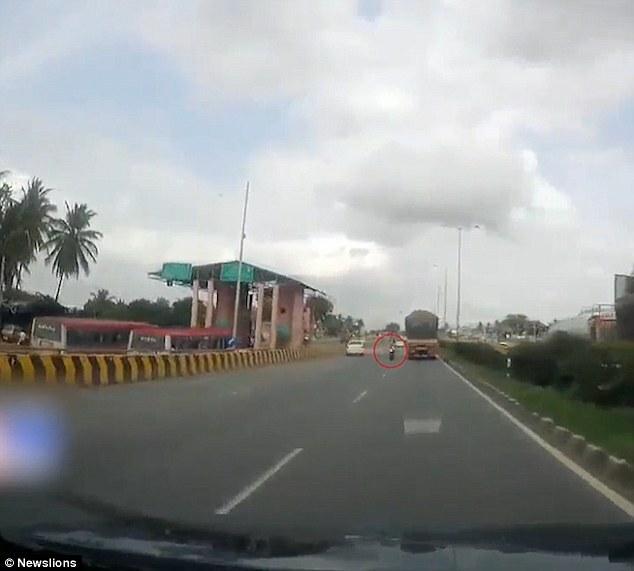 It then veers to the side before crashing into the road divider and hurling the baby into the bushes. 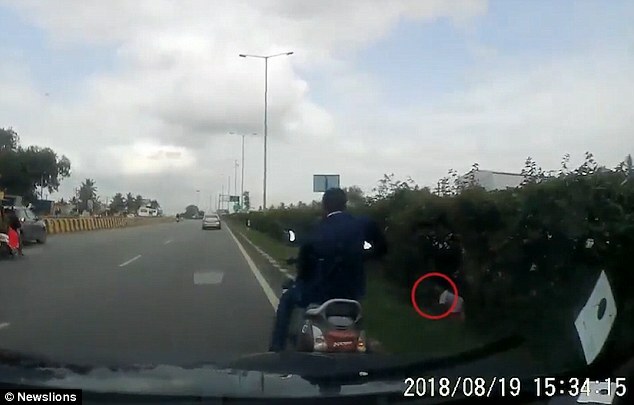 A few other people can also be seen rushing from the other side of the road to check on the baby, who suffered minor bruises, and rescue it from the bushes. Both riders and the female passenger were rescued and reportedly sustained minor injuries. 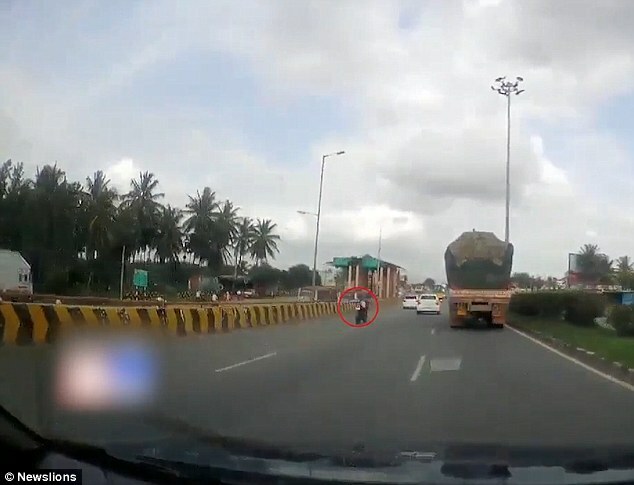 On their Facebook page Bengaluru Police accused the riders of a string of offences, including speeding, using mobile phones, overtaking from the left and not wearing safety helmets. It is not clear if the motorcyclists have been prosecuted.